IS HE THE HOTTEST FREESTYLER OUT RIGHT NOW ???? Is he the hottest rapper to saturate the mixtape circuit? “What You Know,” the first single from “KING,” was #1 most-added track at both CHR/Rhythmic and Urban radio nationwide. The single’s companion video, shot earlier this month in L.A., features cameos by actor MIKE EPPS and Blink-182/Transplants TRAVIS BAKER of Blink-182/Transplants/MTV fame. Veteran hip-hop video director and Atlanta native Chris Robinson not only directed the music video, but also the upcoming Overbrook/Warner Bros. Pictures film, “ATL,” starring T.I. The music video shows a day in the life of T.I., where he attends the premiere of “ATL,” joins the film’s cast at the theater, and then attends the after-party. T.I. (Tip Harris) will make his acting debut in “ATL” as lead character Rashad. The film tells the story of a group of four friends who have just graduated from high school in Atlanta. “ATL” spotlights the city’s famed Jellybeans skating rink, a popular hangout not only for the teens in the film, but for both T.I. and Robinson as real-life teens growing up in Atlanta. Songs from “KING,” including “What You Know,” “Front Back,” and “Ride Wit Me,” which is the featured song in the film’s trailer, will appear in “ATL.” The film is set for release March 31. Atlantic Records and Warner Bros. Pictures are working closely together on both projects, partnering in field marketing, advertising, publicity, and screenings. 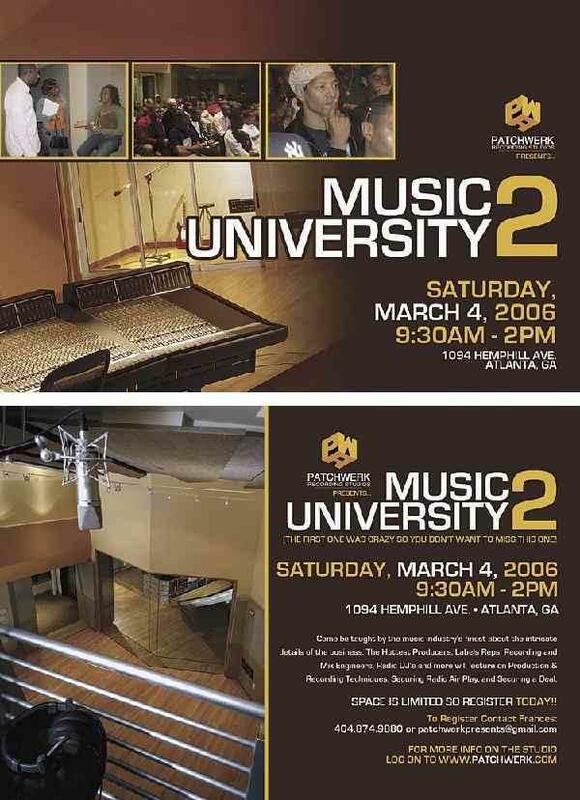 In conjunction with both the release of “KING” and “ATL,” T.I. will make appearances at exclusive album listening events and movie premieres in Houston, Dallas, Chicago, and Detroit the week prior to the projects’ release dates. The rapper also plans to make appearances at larger premieres in Atlanta and Los Angeles the week of March 27. T.I.’s video for “What You Know” made its world premiere on BET’s “Access Granted” on February 15. In addition, T.I. appeared on BET’s “106 & Park” on February 17, and will appear again on the show the day before his album release, March 27. BET will also air several interviews with T.I. on various shows, including “BET Style” and “Rap City,” all airing in the next few weeks, as well as “Hosted Saturday” airing April 1. MTV News will soon feature interviews with the rapper filmed during his album photo shoot last month as well as during the “What You Know” video shoot. MTV2’s “Sucker Free Sunday Countdown” featured T.I. on February 19 and T.I. will host “Sucker Free Sunday” on March 26. T.I. was recently nominated for a Grammy for Best Rap Solo Performance for his song “U Don’t Know Me.” He also walked away from the Second Annual VIBE Awards with a win in the Street Anthem category for the same song. This summer, T.I. will exclusively sponsor two teen girls on the first T.I. Music Sponsorship with It’s Cool To Be Smart “Single Parent Initiative” as part of his ongoing commitment to support the local Boys & Girls Club in Atlanta. 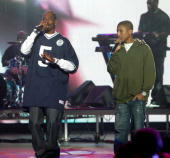 Pharrell Williams and Snoop Dogg Performs Overseas ! 2nd Annual ATL Hip-Hop FILM FEST IS BUILDING UP A REAL BLACK HOLLYWOOD in Atlanta ! Atlanta, GA- The African American film industry has began to take shape in Hollywood. While gaining their rightful place in the marketplace, Hip Hop music artist have been becoming one of the most well respected actors in the film industry today. With black director coming for all walks of life, The Atlanta Hip Hop Film Festival has notice that it is time to pay respects to the world that is changing the framework of American film. Scheduled to kick off the 2nd Annual Hip Hop Film Festival on the Weekend of April 28th-30th, Founder and Event Director Shameka Gumbs, has dedicated a great deal of passion in producing this festival. Along with a team of exuberant women staff, The Film festival has brought a new element to the Atlanta social scene. As a spectator of the project, one can say that the festival has room to grow but it’s really a well organized. The weekend consists of block parties, award ceremonies, and special screening of independent films. This film festival has become a platform for underground actors, performances, entertainers all over the film industry to come for once a year in Atlanta to indulge in the networking of fellow industry-goers. The support of the film festival has been overwhelming. The festival have brought in a world of attention in the urban community such as DV8 magazine, Grip Magazine, Atlanta Urban MIX.com, Alter magazine and Vibe magazine. Sponsors have also figured out that this is an excellent sponsorship opportunity because of the potential demographic reach that would be made. The festivities will take place the entire weekend. Even when the festivities kick off on Friday the events on seminars will be filled until the star studded awards ceremony begins; and that is a must see. Last year there were a lot of surprised guess and I am guaranteed that it will be more this year will be one to see. Detroit hip-hop producer and rapper Jay Dee, a.k.a. J Dilla, died on Friday at the age of thirty-two. He had battled lupus for three years, recently touring Europe in a wheelchair, but he concealed the downturn in his health from his manager and close friends. 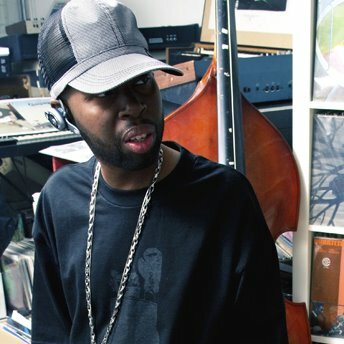 Sources from STONE THROW’S Records say, J Dilla had suffered for over three years with an incurable blood disease, and had also been diagnosed with lupus. This not only confirms his illness but also put us at ease for which his angles with continue to watch over his family. As African Americans we are responsible for takeing care of our bodies. We are the only ones to be responsible for our actions. Especially people in our industry, we have to take extra care of ourselves. Whether you work a 9-5 and you hustle in entertainment on the side or you do this entertainment lifestyle full time, it is time for us to be responsible in the African American society. Allegedly people believe that it was a great deal of thing wrong with Dilla but interesting sources say that it may have been the malnourishment of his kidney area. Dilla influenced many as a producer. Dilla, gave his friends, Slum Village a chance to gain a national presence by using his hard hitting tribal beats mixed with great instrumental sequence. Slum Village first national album had great success but continued on his journey to influence the masses. We all know that you can’t consume greatness. Dilla had been at work on his next solo release, The Shining, which was slated for independent release this spring. You have read in so may stories and blogs that Dilla was dropping a new unconventional, rhymeless LP called “Donuts”, but people lets be forreal , lets deal with another issue that brings us today. Will the loving memory be forgotten of J-Dilla? Dilla was an architect for the word music. Music was something that not only was his life but his soul. while on his unhealthy road , Dilla managed to contribute to the Grammy nominated album from Common , Be. Lets be more conscious about what we tend to praise in our industry because life has no promise. Dilla made his mark and will forever get love in the world of music. My entire dilemma is that will the underground scene keep him alive or will DIlla’s name be shouted through the ranks of 2pac, Left Eye,Big Pun, Biggie, Freaky Tah? 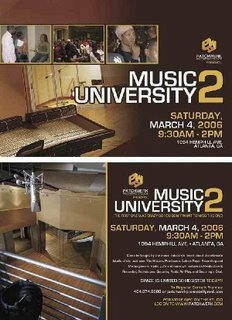 We all will have to see, but this one thing for sure you will never have to worry about Dilla’s music living on because he contributed timeless and memorable music. Rapper Busta Rhymes issued a statement about an early morning shooting last Sunday (Feb. 5) that took the life of his longtime bodyguard. Authorities believe an argument between Ruff Ryders President Swizz Beatz and Tony Yayo and G-Unit sparked a deadly shooting on the set of a video shoot for Busta Rhymes’ single “Touch It (Remix).” Busta Rhymes immediately drew criticism for not attending the first wake, but the rapper did attend the second day of services flanked by four bodyguards, where friends and family paid their last respects to Ramirez. “Out of respect for the family’s desire for, and right to, privacy during this mourning period I made the decision to attend Izzy’s wake on the second day rather than the first, knowing that my presence [on Feb 8.] would have brought unnecessary media attention to a personal and private time of grieving,” Busta Rhymes said. Funeral services for Ramirez are scheduled to take place today (Feb. 10) at the Church of the Ascension in New York. You are currently browsing the Thestreetreporter's Weblog blog archives for February, 2006.